in the School of Communication at University of Johannesburg and a Senior Associate Researcher with the Stanhope Centre for International Communications Policy Research at the London School of Economics. Her current research concerns journalistic practices and models for journalism in post-colonial societies in the global South. 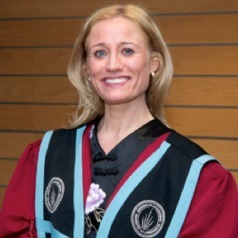 Ylva holds a PhD from the School of Oriental and African Studies at London University and an MA in Politics from the University of Witwatersrand in Johannesburg, South Africa and an additional MA in Journalism from Cardiff University in the U.K.